I'm a Cali girl, meaning I grew up in California and lived there most of my life. Living in California meant year round great weather. Being able to grill year round was one of my favorite things to be able to do! Nothing better than dinner off the grill! Now, one of my favorite foods is also pizza! Have you ever tried to grill a pizza - yum! Bring the two together and there is one good dinner! Now that I'm in Vegas, BBQ and backyards are not what they are in Cali. If you even have a backyard it's mostly dirt and or rocks. Not very appealing to say the least! Papa Murphy's Pizza is currently running their "Flavors of Summer" Sweepstakes on their Facebook page in care of Sierra Mist. They are giving away a $25,000 backyard makeover to one lucky winner!! That would so come in handy here in Vegas! I would cover my backyard in grass, put in a pool for these hot Vegas summer days and a beautiful brick BBQ to grill my pizza's on! 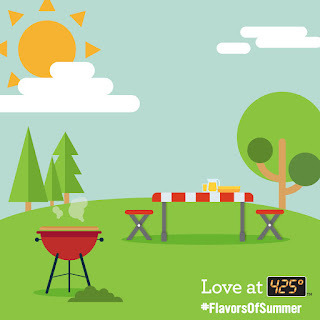 Even though our backyard is not what I would want it to be, we still love to grill! My husband put a mister along our patio to cool us down a bit so that we can avoid using the oven and get outside to grill our dinner during these warm summer months. Never grilled a pizza? 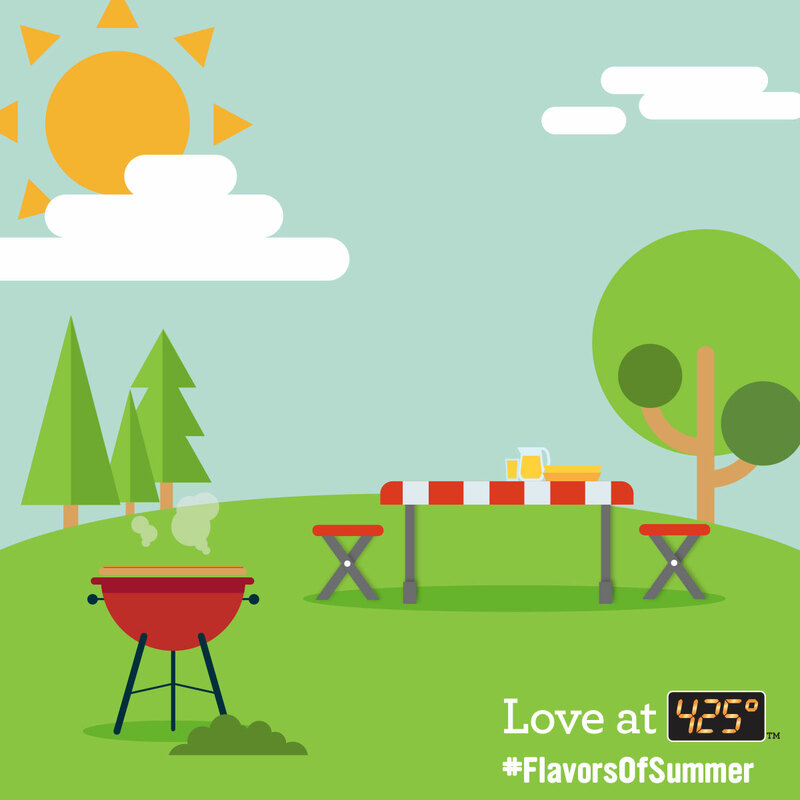 You can find full grilling instructions here. 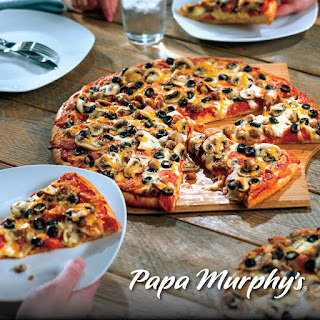 Papa Murphy's is my favorite pizza joint! They are the world's largest take 'n bake pizza chain and offer a variety of pizza crusts, including pan pizza (my fav), gluten free, thin, signature and stuffed. 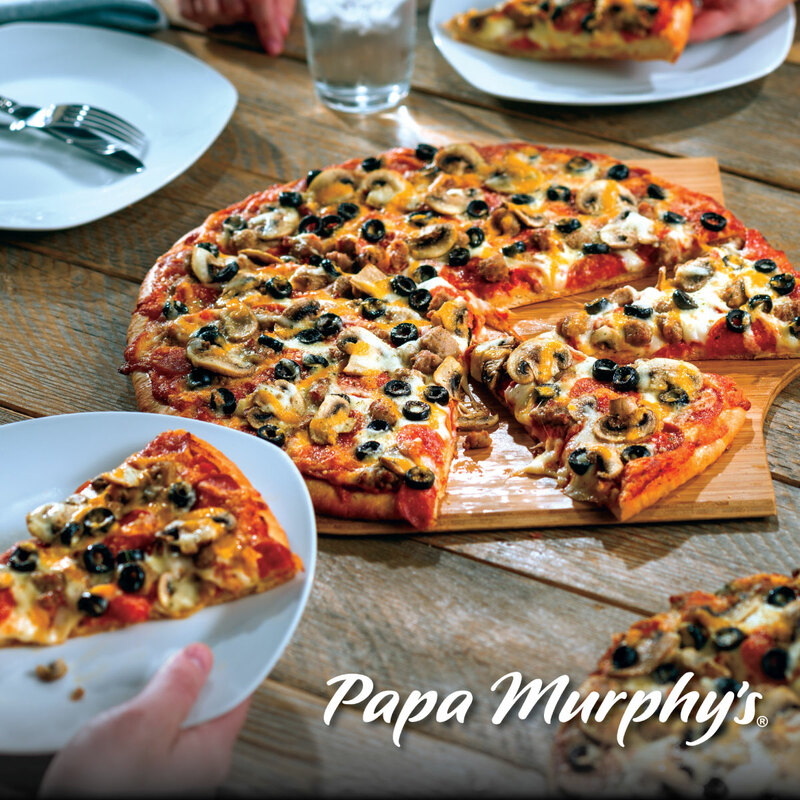 Dedicated to bringing families together through food people love, Papa Murphy's makes meal time a breeze for busy Moms. It's the only place I know where I can create my pizza exactly how I want, take it home uncooked and bake or grill it for however long I choose to our families liking.